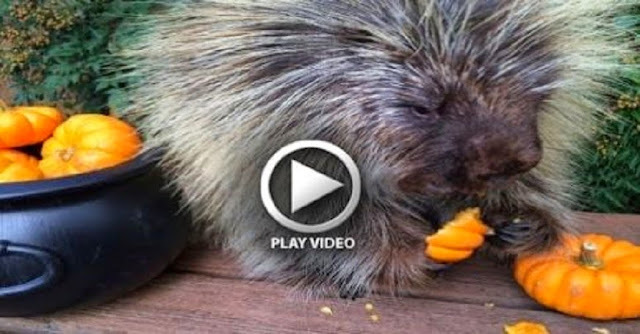 Teddy Bear, the talking porcupine, sure can't resist this Halloween feast. Watch him indulge and talk with his mouth full. Way too cute! We aren't quite sure what he's saying but judging by his general love for food, he's probably saying something good. Teddy Bear is from a traveling wildlife company that educates people about animals.